Let’s start with a little history. One-off barrels were a thing among distillers for a long time. They bottled these “single” barrels for parties and friends. And, on occasion, in exchange for a favor from a governmental official. It wasn’t until 1984 when Elmer T. Lee came up with the idea for a premium single barrel bourbon. Ancient Age Distillery (now Buffalo Trace) decided to name the brand Blanton’s Single Barrel Bourbon. It was named after former distillery president Col. Albert B Blanton. Blanton’s single barrel bourbon was one of the first premium bourbon releases. After a few years of sales Blanton’s sales began to pick up. Other distilleries also offering “premium” bourbons. The downward sales trend in the bourbon industry began to slow. There is too much inconsistency. This one hit me hard over the last couple of years. I’ll taste a bottle and love it. If I like a bottle I try to find a backup. The second bottle tastes far different from the first. If I’m purchasing a bottle of Jim Beam or Four Roses Single barrel I don’t mind some differences. When I spend $100+ for a Limited Edition single barrel that’s a different story. The art of aging is tricky. You can have identical barrels age next to each other in the warehouse that tastes completely different. Sure, finding 10-15 barrels that taste similar shouldn’t be too hard. Especially with the large inventory some of these distilleries have. Trying to find 75-100 barrels that are similar age and taste profile? That’s near impossible. The truth is, producing single barrels are expensive. 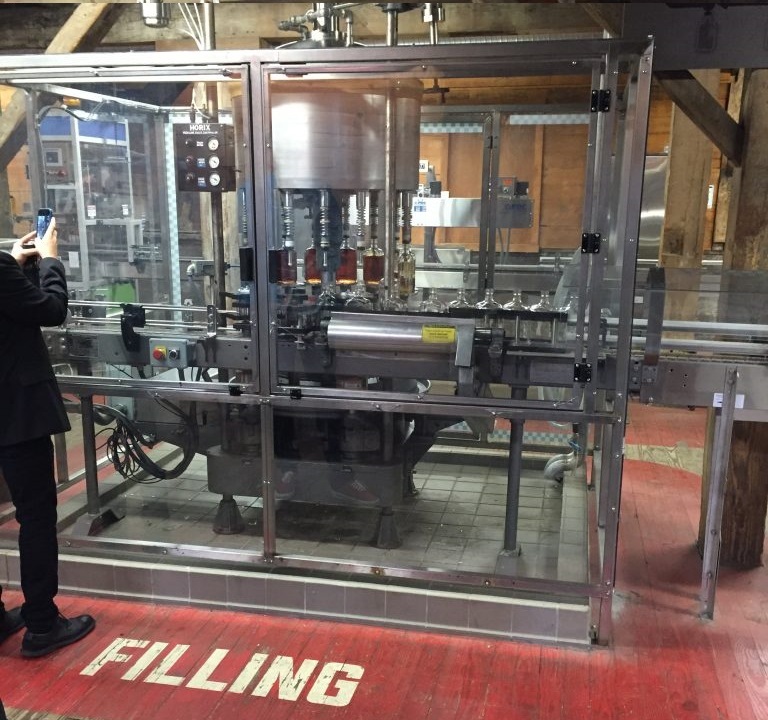 Major distilleries have separate bottling line dedicated to single barrels. That means dumping a barrel. Bottling the barrel. Flushing the bottling lines. Rinse and repeat the whole process. Let’s look at Jim Beam Distillery as an example. Their T-line bottling line bottles Knob Creek single barrel. They bottle other Jim Beam single barrel brands there as well. This is one of the most advanced bottling lines out there. At top speed, it can crank out 15 bottles per minute. That seems like a lot. And it is. But, when compared to Beam’s main bottling line that can bottle 300 bottles a minute it’s nothing. The means small batch products are bottled 20X faster. That’s without factoring in the downtime between barrels. It’s closer to 25X when you take that into consideration. Do private barrels count? It depends on who’s picking. We recently got into this discussion on the Bourbon Pursuit podcast. Private picks and store pick barrels are in high demand. Not every barrel is going to be exceptional and worthy of an increased price tag. Before grabbing a bottle because it has a store sticker on it make sure you trust the taster. With growing popularity, stores are taking advantage and grabbing every barrel they can. Sometimes without even tasting it first. Single barrel bourbon is an important part of bourbon history and its revival. Here’s my biggest issue with “single barrel”. It has no legal definition! If you check the TTB guidelines there are no regulations for the term “single barrel”. With no legal definition, a distillery can use single barrel on any label. I’ve had distilleries (the PR side) tell me a brand is a single barrel taste profile. What does that mean? I’ve spoken with store owners that purchased many private barrels from a brand. Each time, the same exact number of cases showed up from the different barrels. When the owner asked his rep about this anomaly the rep said he purchased “a single barrel worth of bourbon.” Huh? There is far too much ambiguity for “single barrel” to mean something. I know this is a rant. But, I don’t want it to come across as an angry rant. I don’t want to see the single barrel category eliminated. This rant is to advise fellow Bourbonr’s. It’s a rant to help people make more informed decisions. The TTB should regulate the term “single barrel”. There are still single barrel products that I love. I’ll continue to buy certain single barrel releases. I love Blanton’s and Elmer T. Lee and their massive contributions to the bourbon industry. I still find myself more in line with Booker Noe who opted and pushed for small batch bourbon’s. Thanks for the insight. Thought I was just plain wrong when the last bottle of Blanton’s I bought tasted a little young, and absent that famous “spirit” finish which makes it’s better tasting bottles a full olfactory experience. Who knows what the next one will be…but at least I’ll know why. Dibs on all your Blantons! Some single barrel store picks have been absolute gems over the past few years for me. Store and brand should tell you a lot. Four Roses, Belle Meade, Blanton’s, Weller Antique & 1792 Full Proof are among some great ones I’ve had and I’m always on the lookout for more, but certainly not just any bottle that claims single barrel. I agree with you Blake. I have a greater respect for a great single barrel, but I’m much quicker to trust a small batch bottle. It’s like a bar trivia night. The small batch is a group of friends who each know a couple of categories really well. Together, they put up a great score. The single barrel is one dude who has to be great at every category in order to score well. He can’t have any categories that he’s deficient at. There aren’t many of those folks out there. So, what are the chances he’ll beat the small batch team? I guess it depends on how brilliant he really is. If he can, that’s pretty amazing and why I have a greater respect for him. However, I’m probably betting on the small batch. Dude, really? It appears I have had better luck with single barrel bottlings than you. Right now, I have an open bottle of Jack Daniels single barrel, barrel proof, that is the best example of JD that I’ve ever had in 40 years of drinking whiskey. I think I have had nothing but positive experiences were single barrel bottlings. Was this a “travelers edition”? I got a bottle of that from the dubai duty free airport and boy was it good. I shared it with many friends and everyone found a rekindled love for JD.. in that form anyway. I will be on a look out for that same exact label in my future travels. Understand your point, but have to disagree. The very nature of single barrel implies inconsistency and I’ve typically been very pleased with single barrel over small batch. I do have the expectation that a single barrel pick has a selection process and those not worthy get mixed into a batch. So if the term is being used for marketing without assuring quality, I’d be all for tightening the definition. I would ask that you reconsider the title of the article, as it is a bit harsh and in direct contradiction to the closing paragraph. To start out with “I hate Single Barrels” and then list ones you love and will continue buying seems confusing. A single barrel worth of bourbon hahaha that is awesome. Don’t blame the marketing folks-blame the jerk store owners who sell you a crappy barrel that they never tasted. Also…how about not spending absurd amounts ($65+) on a bottle just because it is 15 proof higher and has a store label on it? Lookin at you Makers! The Four Roses single barrel 100-proof -is- awfully consistent… But I just brought home a barrel-strength OESK that has restored my faith. Done right, single barrels are at least as good as some price-worthy baseline, with more-than-occasional gems. Thanks for the information. With the rise in sales and popularity there’s nothing wrong with a buyers beware notice. Like wines, not every year or bottling will be identical, and with dubious labeling standards the consumer can be fooled. The food industry is a perfect example with the use of terms like all natural. I like the title myself as it grabbed my attention to read what you had to say. I think your explanation of the process accurate and informative. I’ve had great single barrel bourbons and some that were lacking which is to be expected. Thank you. If I had one choice of Single Barrel it would be E T LEE, just sorry I didn’t buy all those cases sitting on display at a Richmond VA ABC store at $24.99 per bottle.when most people hadn’t heard of it, didn’t know about it, didn’t care. Now it is 1 bottle per customer if you can get it, and allocated once a year. Big reason tasting bars are awesome. I had a knob creek barrel pick from cork and bottle and loved it, far more than an ordinary bottle, especially since it was higher proof at 120. Try before you buy is a great way to do business. Blanton’s has not been my favorite but in Jan I tried a bottle that hit the spot. Hope at next family gathering no ones finished that bottle off. I would like to share something on a similar topic. It seems some of the smaller companies are playing fast and loose with the Bourbon rules. I recently came across a “bourbon” from Gulf Coast Distillers called Giant. The label says it has been aged 6+months? I sent them an email asking for clarification of the age statement and never received a reply. Have you encountered similar things and is there a logical explanation for how they get away with calling something aged less than two years Bourbon? Thanks for the clarification. I’ll have to read the labels more carefully in the future. I find the whole “single barrel” experience truly pretentious. The more I try them, the more I return to the consistent already great bourbons. I really think that if anyone spends more than $50 for a bourbon, they have more money than sense. Bourbon doesn’t have a minimum age statement requirement unless it is labeled as Straight. Straight bourbon must be aged for at least two years. But ANY bourbon aged less than four years requires an age statement. Unfortunately, the guidelines aren’t always followed. And I also think, while there is inconsistency between barrels, Single Barrel releases are typically made from the very best barrels available. The inconsistency is actually part of the appeal in single barrels. You are pretty much assured they might be a bit different, but will always be good, and in the “house style”—at least if you stick to the major producers. I’ll jump on a reasonably price, properly aged, single barrel from the major distilleries any day. Fully agree: the inconsistency is the essence of SBs, and if you stick to major distilleries, the quality control for SB selections, in my experience, has always been a home run. Evan Williams labels its SBs by date and barrrel numbers; this makes for fun cross comparisons. It really depends who you are speaking as. Blake the every day Bourbon Joe out there or Blake who loves limited edition whiskey and Ninja blenders. I call shenanigans if it is the second of the two. You as a collector know that the kings of unicorns are mostly private selections. There are too many to list. The reason are is because they are perceived to be the pinical of what has been offered to date with the brands they represent. Nothing is more limited than one barrel. Before this takes a wrong turn and goes off subject here is my point which is more sought after by collectors a Pappy 15 from 2009 or the Loch n Key Pappy van winkle Private barrel from 2009. Is the willett 27 year more sought after than the Reid and Emerald 17 year willett? or if that’s two broad talk about a single barrel 17 year willett vs the R&E 17 year willett. See my point. Single barrels offer the most unique opportunity for a whiskey to express itself. Blends offer the opportunity to control all the variables associated with whiskey and to lab create the blenders idea of the best showing of whiskey they have access to. Both are two completely different areas of whiskey equally deserving of love. To say you hate one tells me you haven’t realized what you should be loving about it. I think this is where the relationship with the buyer at the local stores you frequent is important. If they have store picks, it’s likely they have an idea what that juice is going to taste like. So I end up asking questions to gage the staff feedback of the bottle and I have enough rapport with a few of them and trust their opinions enough that I’ll usualy enjoy what they’ve brought in. I was a little surprised at the article, but understand your point here. Never thought I’d hear you say you hate the single barrels. Your warning to all is spot on though, and timely too. Let me see if I can help, as I love the single barrels. With what’s going on with bourbon today, we all have to be careful. Lots of the fun with single barrels has been the need to get smarter as you suggest. In my town there are several stores that get lots of barrel picks, so lots of opportunity to grab a special bottle. Most stores will tell you about the barrel, and let you talk to folks who picked it, and you can ask why. Ask to try it, and if you aren’t convinced the care of selecting the barrel isn’t there, don’t buy. On the flip side, I have developed a relationship with my local guy, and now help him pick his barrels, so no surprises for me there. Some of the barrel picks he’s received are very good, and a great value for the price. I enjoy a great bottle of Buffalo Trace, Eagle Rare, Knob Creek, or several others that are mentioned here that he has acquired. Get engaged, and when you find that special store pick, go back and buy enough to drink it for a while……and start the search again. I think the best is yet to come. I picked at least 25 single barrels last year, my customers always like my picks over regular goods, had A Blanton’s barrel last year and it was amazing. It depends who’s picking the barrels. Excellent article! And what you’re saying really makes perfect sense. You can have the same mashbill, aged for the same amount of time in two similar matching char barrels in the same area of a rickhouse and have similar but far from identical profiles. I love a good single barrel specifically because it is, in a way, unpredictable. The quality should fall within an expected range, but also has a chance of being uniquely superior (without being grossly overpriced) based on the nuances that make up the profile of each barrel. I hate a good single barrel specifically because it is, in a way unpredictable. When i find a single barrel that I really love – I have to realize that the likelihood of ever getting that same whiskey (a bottle from that same barrel) is practically impossible. 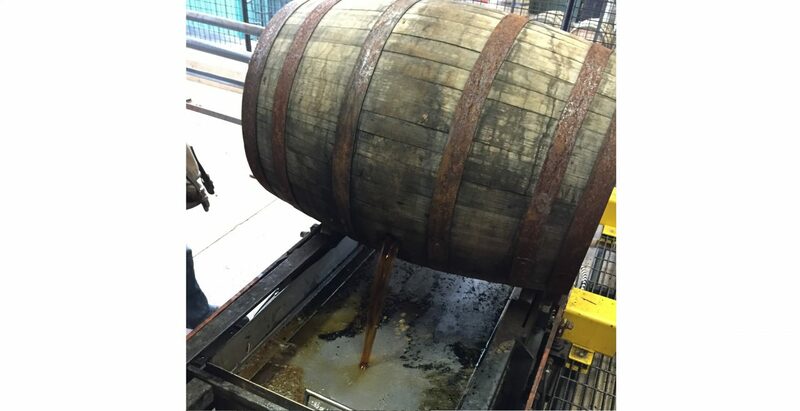 But the fun is, the next barrel may be even better. I also like the single barrels but they can be inconsistent and that is the fun of it. My boss offered up a bottle of Benromach for a silent auction and I won it. He had purchased to bottles at the same time and he said mine was better than his. While it was not a single barrel he noted that mine was an older and he wished he had kept it. But he still got to enjoy it. I have a few single barrel and small batch bourbons in my music studio and while they are all generally good, we enjoy the different profiles of each. Just because it is a single barrel or a small batch or even aged longer doesn’t make it better, just different. I’ve had 9 or ten bottles since then; and one of those was quite inferior to the average of those. BUYER BEWARE: Barrel Number 719; poured on 12/12/2017 is a poor barrel choice; a dissapointment! In contrast to that, you have a better chance of tasting an exceptional barrel that just wows you. That first bottle I drank may have been the best of ten. I don’t understand the insanity of prices for Elmer T. Lee nowadays. When Elmer T. Lee and Rock Hill Farms were as common as Blanton’s and priced the same; I thought Blanton’s was better and they were riding the Blanton’s name. Maybe I had tried inferior barrels of those. But the hook of supposed rarity brings insane prices to the latest unicorns like Elmer T. Lee, Col. Talylor Four Grain, and even Col. Taylor Single Barrel, now! Better warehouse your favorite Bourbon’s now, before more price jumps, more scarcity, invest in your Bourbon future now! I’m with some of the other commenters: I like single barrels because of their uncertainty. Sometimes you get something outstanding, sometimes meh, but always there’s the thrill of uncertainty. There’s also the relationship you build with the team which chose that barrel. I’ve made many new friends that way. Far as the exact number of bottles arriving each time … that’s highly questionable. Were I that buyer, I’d be suspicious. I completely agree with you if we’re talking private barrels. It’s all about the relationship. They may not all be great but I’d like to taste flavor profiles outside of the norm. I just think too much value is put on the term “single barrel” without people realizing it’s an arbitrary term. I find that if I like the style of the distillery I’ll very much enjoy the single barrel selections. I’ve had more luck with store selections than other types. Last year the 1792 single barrel picked out by a local store was outstanding. I find variation from bottle (or barrel) to bottle in other single barrels, but that is part of the fun. Implicit in the higher price of the single barrels is that someone, either the store or the distillery, took time and care to make sure that barrel was worthy of your consideration. If it’s just marketing stamped onto any old barrel, the purpose is totally lost.